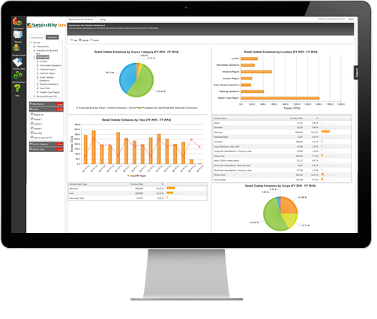 Sustainability Reporting by Sustainability Sure combines leading Sustainability software technology of Accuvio, with decades of experience in the environmental management, and reporting space to deliver a market leading Carbon, Energy and Sustainability Reporting solution. New features and enhancements every month! Secure reliable and fast cloud based software solution. 80% of our clients found data collection and data formatting to be the biggest challenge before adopting Sustainability Sure. Our Sustainability software removes most of this mundane work for the sustainability team, allowing them to focus on cost reductions and emissions reductions projects. What can the software do to help me with my data? The software helps in many distinct ways. The first is probably the most popular. 1) The intelligent bulk upload feature can take a spreadsheet of any format and allocate the data in it to the correct building, meter, or asset on the system. 2) The Data Management suite, continually checks your data for completeness and quality and highlights gaps, or late data to you in an instant. 3) The software works for you while you sleep. The software checks for missing data on certain days and reminds the owner of the data entry with a polite email. If the user ignored the email for a set period of time, the system sends a “not so polite” email to the user, and their manager. 4) The software can even accept data emailed to it and process it without any human interaction and it will send the sender an email thanking them for their data and confirming a successful upload. 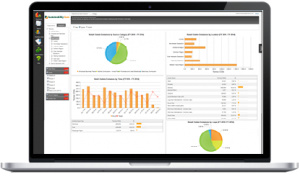 QuickConnect is a very reliable and robust mechanism to acquire data from third party systems with no software development of IT projects, complex configurations or setups required. It works by simply setting up the third party system to email Sustainability Sure with the desired data every hour, day, week, month. The software is smart enough to recognise the file and automatically break the file into thousands of parts and allocate the data into the correct building or asset. The software boasts powerful interactive dashboards, and energy analytic tools which allow users to drill down to the consumption hot spots with point and click. Can I use this to reduce my energy costs? Yes, the powerful analytics enable users to zoom in on a day, week, hour or minute of data from one or a collection of meters to get right to the source of the consumption spike. By focusing on these hot spots initially, quick wins can be achieved easily to reduce energy costs within weeks of the software’s implementation. By bench-marking a meter’s performance over time not only can the team justify previous spending to the finance director, but can quickly build a very robust case for further emissions and costs reductions using this precise data. The Sustainability Sure software provides a reporting suite which allows users to generate a report with the desired data in a matter of seconds. This includes instant CRC, CDP, and Mandatory Carbon Reports. What else does the reporting suite do? 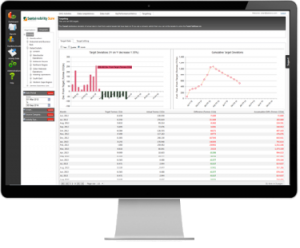 The reporting suite offers a set of pre-designed reports for ease of use in the most desirable formats for performance management and regulatory reporting. 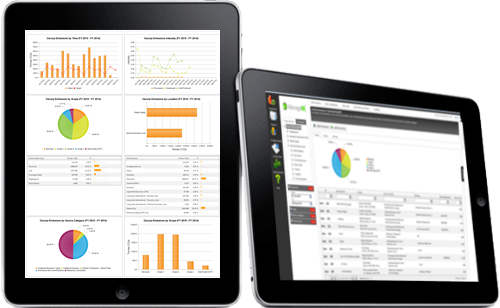 It also offers customisable reports specific to business units, costs centres, buildings, and even groups of meters. All reports can of course be exported to excel for further manipulation. An effective employee engagement strategy can provide some very cheap and very fast emissions and costs reductions. 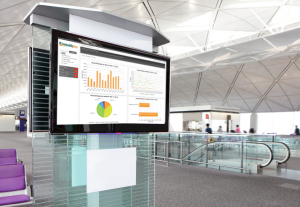 The key to an effective engagement strategy is robust information, and with the Sustainability Sure public dashboard function, staff members can be reminded of their performance in their specific building, in the lobby of each building. This public display, coupled with data entry assignment and delegation helps to make key staff aware of the effects their actions have on the environment and the bottom line of the business. By reinforcing this with other complimentary engagement strategies, some of our clients have achieved 12-15% energy reductions within 90 days of adopting Sustainability Sure. We keep the system up to date, so you can relax. Greenhouse Gas Emissions reporting is changing every year. In 2013 we saw two very significant changes alone. The introduction of mandatory carbon reporting for all publicly listed companies which included some non-carbon reporting requirements which surprised many. We also saw the addition of the new Department of Energy and Climate Change (DECC)/Department of Environment Food and Rural Affairs (DEFRA) 2013 standard which changed the way the calculations are made from 2013 onwards. As specialists in this arena, Sustainability Sure take great care and pride in staying one step ahead so our clients don’t have to. That’s why some of the worlds leading Sustainability, Carbon and Energy Consultants also use our software! At Sustainability Sure, we are continually adding new capabilities and scope to the software to keep ahead of our clients needs and the international standards and protocols. 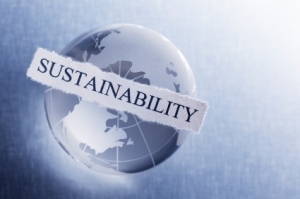 Sustainability Sure combines class leading software and decades of consulting and services experience. At Landmark, we researched all of the solutions on the market, and we found Accuvio (formerly named ManageCO2) to be head and shoulders above the competition in terms of innovation, quality and integrity. In addition, the Accuvio software has been independently verified and tested by two separate organisations against both the GHG Protocol and the UK’s DEFRA standard, and it is a CDP accredited software solution. Accuvio is the first Sustainability and Carbon Reporting Software company globally to be awarded the SGS Software verification mark for Greenhouse Gas Management. This accreditation spans the UK’s DEFRA/DECC Standard, the international Greenhouse Gas Protocol and the ISO 14064 standard. This accreditation is a complete and thorough analysis of the software’s scope 1, 2 and scope 3 upstream and downstream value chain calculations. In addition to the SGS Verification of the software’s accuracy, Sustainability Sure also underwent the CDP’s (formerly the Carbon Disclosure Project) verification process in 2012. This involved an independent assessment by a third party against the GHG Protocol. With so many stakeholders involved in data collection, auditing, reporting, sign-off and of course on-going questions from the sales team and general management, Accuvio allows for read only access to be provided to any user. How can this feature, streamline auditing? The user can customise their own dashboard, and the administrator can limit what parts of the organisation that user is allowed to look at. This is ideal when external auditors are engaged as the auditors can be given read-only access, allowing them to access that data remotely. In addition all invoices and supporting documents are already attached to the data entry items and stored in the document manager, so auditors do not need to be on-site, thus improving their carbon footprint as well.